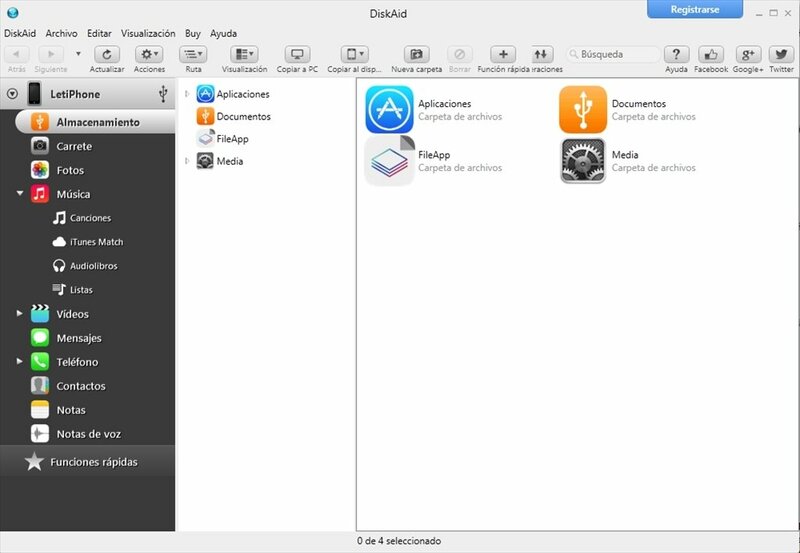 DiskAid is a software application that will allow you to use an iPhone, iPod or iPad as if it were a pendrive. One of the major criticisms that the Apple gadgets have always received has been that despite their great storage capacity, it has never been possible to use them as if they were a USB pendrive. Thanks to DiskAid, this is now possible. 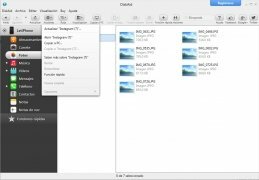 The first file transfer software for iPhone that makes use of Wi-Fi and USB. 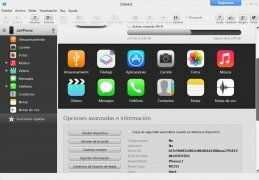 Without requiring any kind of modification, simply installing DiskAid free on our computer and connecting the iPod, iPhone or iPad it will be recognized and all its information will be shown as well as the free space. 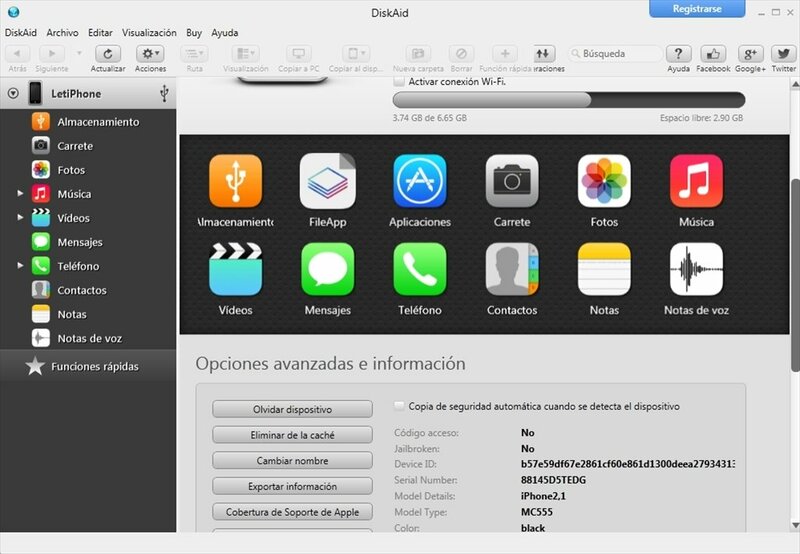 Furthermore, with DiskAid you'll be able to transfer your files through a USB cable or wirelessly via Wi-Fi. 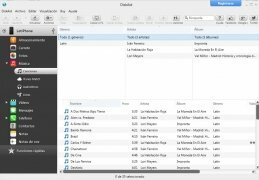 Even though it would be nicer if DiskAid was shown with the Windows Explorer interface, its interface isn't at all difficult to use. When you connect the gadget to the computer it will detect all the photos, videos, applications, etc. and will order them by categories or folders in which you'll be able to copy, delete, or edit whatever you want. Furthermore, it has a category or folder that will allow you to do whatever you want with the free space. Copy our contacts, messages, images, notes, etc. to our computer. Use our iPhone as a USB memory. 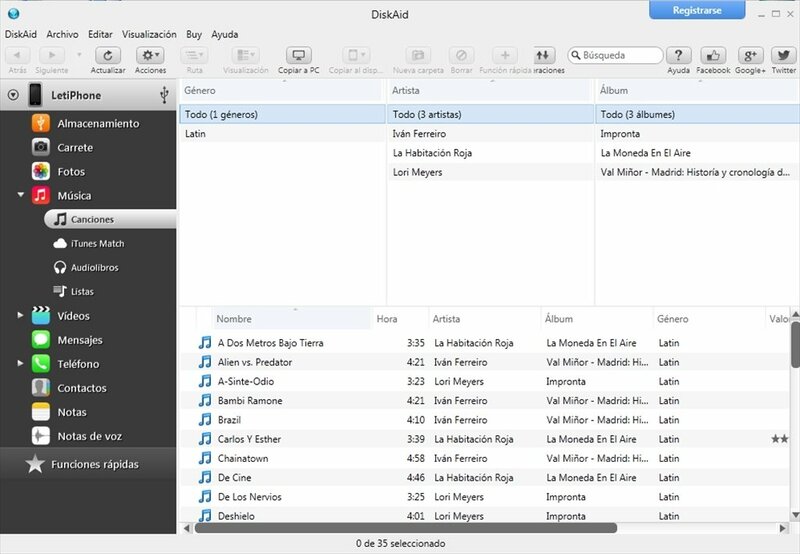 Transfer our iPhone or iPad's music to our computer. 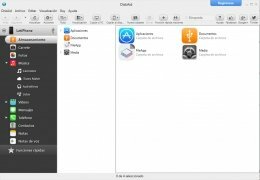 All in all, if you want to make the most of your iPod, iPhone or iPad, to fill your memory as if it were another storage unit, DiskAid will be of great help. It's necessary to have iTunes updated.